James and wife Sarah Jane joined 762 passengers (280 were children) The steamship Atrato, left Plymouth 5th April, (Capt. Husband) and called at the Cape to coal and provision. On arrival 10 June at Dunedin, due to 32 deaths from measles 159 passengers were taken to the barracks on the quarantine island, and the Atrato admitted to pratique - 2 more children died. The ship left with Canterbury immigrants for Lyttelton 20th June and those destined for Timaru went on by the coastal ship "Beautiful Star" which arrived in Lyttelton on the 22nd.Next day she steamed alongside the s.s. Atrato and took on board eighty-one immigrants for Timaru, and left at 5 p.m., arriving there at 8.30 a.m. on the 24th landed her passengers, who left behind them a testimonial of their good will to Capt. Hatt for his kindness but locals felt uneasy. The Timaru Barracks was opened on their arrival for engagement by Le Cren, Immigration Officer. Press, 2 Sep 1931: MR SAMUEL GALE. The death occurred in the Timaru Hospital, of Mr Samuel Gale, a wellknown resident of Pleasant Valley. Mr Gale, who was 57 years of age, was a son of Mr George Gale, one of the pioneers of Pleasant Valley, who settled there 56 years ago. Mr Samuel Gale received his education at the Pleasant Valley School. He commenced farming on his own account 25 years ago, and remained in Pleasant Valley during the whole of that period. In 1906 he married Miss Mary Annals, the eldest daughter of Mr James Annals, of Temuka. Mr Gale was concerned with the Geraldine Co-operative Dairy Company, and was chairman of directors for eight years prior to his death. He was also chairman of Pleasant Valley School Gommittee, and had often a member of the committee for a number of years. Mr Gale was a member of the Masonic and Orange Lodges. He is survived by Mrs Gale and four sons, Messrs Nelson Gale (Hilton), Morris Gale (Pleasant Valley), and Masters Bruce and Waiter Gale. The interment took place at the Geraldine cemetery on Friday; the Rev. Mr Brooks Temuka) officiating. The Rev. J. F. Coursey (Geraldine) conducted the Masonic service. ii. ALICE ELIZABETH ANNALS (b. 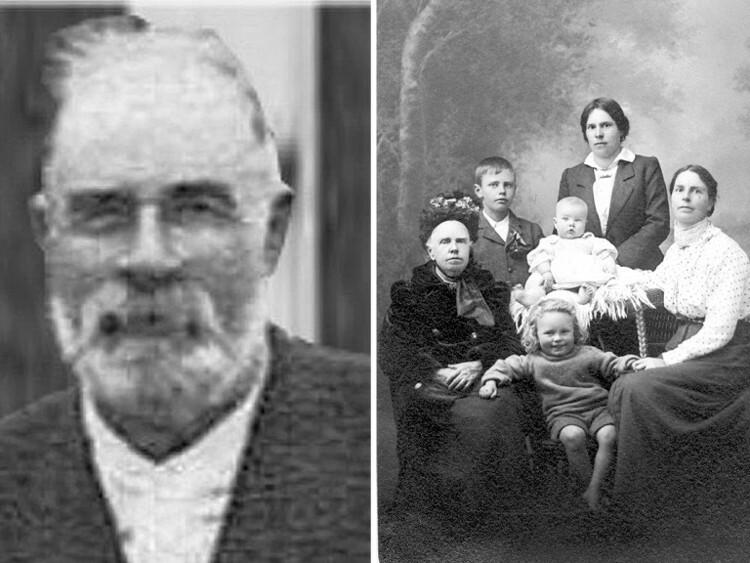 02 Dec 1877, Geraldine; d; 21 May 1937 Blenheim) mar: 1907 to FREDERICK HORATIO CRAFAR (b: May 2 1869 at Northampton, England to parents James Crafar and Sarah Ann nee Rice who immigrated in 1874 to New Zealand ; Occ: labourer, Wellington; d: 7 Jul 1937, Heke St, Lower Hutt, Wellington) Children; Kathleen Vera May Crafar (b: 1910; d: 1976); Richard James Crafar (b:3 May 1910 - d: 1989) mar: 1939 to Rosina Norma Green (b: 24 Feb 1917; d: 1981); Kathleen May Crafar (b: 21 Feb 1921; d: 2001); mar: 1939 to Douglas Anzac Milne (b: 1 Jun 1916; d: 2001). iii. WILLIAM HENRY (HARRY) ANNALS (b: Dec 16 1880; d: 15 Sep 1916, France. bur: Caterpller Valley, Longueval, Somme, France. Henry ANNALS was the eldest son of James and Sarah Jane (nee EVANS) ANNALS, of Pleasant Valley, Geraldine. His brother Frederick James ANNALS was also killed in action in the same battle and on the same date, 15 September 1916. Brothers Walter and George ANNALS also served WWI. Henry probably attended Belfield School near Orari. Harry is recorded as a ploughman and a labourer at Belfield in 1905-06, 1907. Following his death, attempts to find relatives or next-of-kin were unsuccessful. James ANNALS, who was later identified as his father, was resident at Pleasant Valley, Geraldine, care of Mrs S. Gale. Henry was killed in action, a decision made by a Court of Enquiry. He was previously reported wounded. No evidence of a will was found. His medals were sent to his father. His Personnel File notes 'deceased served under name of Andrews Wm Hy but it has been ascertained that he is identical with the son of the abovenamed [James Annals] (Henry Annals)'. Why did Henry enlist under another name? v. GEORGE ANNALS ( b: 1883; Occ; farmer; WW1; d: 09 Jan 1965, Braeside) Bur Geraldine Cem.) Timaru Herald, 6 Feb 1917: MILITARY APPEAL BOARD; George Annals, farmer, Pleasant Valley, the first appellant, stated that he had three brothers in France, and he had to support his aged parents who lived on a farm of 15 acres, and he himself occupied a leasehold farm of 27 acres and looked after his father's farm as well as his own. Without his help, they would not get any work done. James Annals, father of appellant, stated that he and his wife were in receipt of the old age pension and each of his three sons at the front allotted him 3s a day. The chairman said "Everyone has to suffer" and dismissed the appeal. ix. 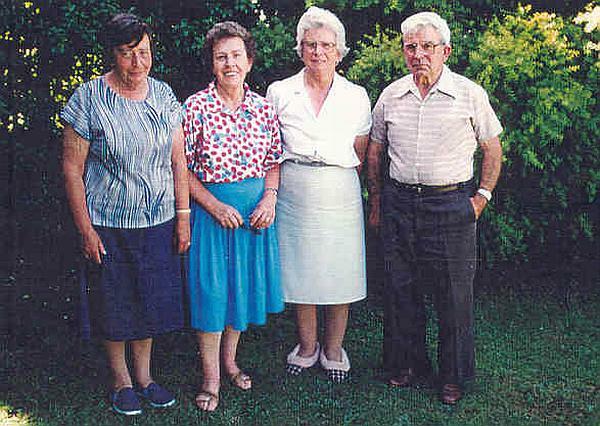 EDITH MAY ANNALS (b: 01 May 1892; attended the Temuka School from her home at Arowhenua; d. apr 27 1954) mar: 1915 to widower ALFRED HARDY COUCH (b: 21 Nov 1885 to parents Peter Couch and Mary Ann Frances nee Atkinson; left Oamaru Nth School 1889 to work for Hislop and Creagh; d: 12 Mar 1968; Occ:retired gardener) (He mar; 1909 first wife Catherine Gemmell - she d: 1913 aged 41Y - their dau. 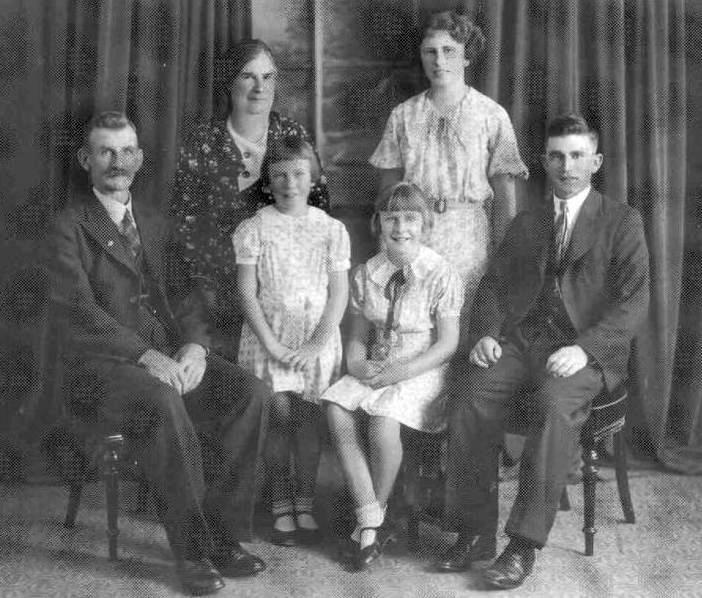 Verena Hardy Couch was b: 1910 and 1939 mar; John Clarence Parish) Edith and Alfred's son was Wilbur Hardy Couch (b:21 Dec 1915- 27 Jul 1984; Bur: Ngaruawahia Old Cem.) mar: 1939 to Eileen Sullivan. Robert Guilford, farmer at Lansborough near Temuka mar: Ethel Kazia Annals on 19 Apr 1916. 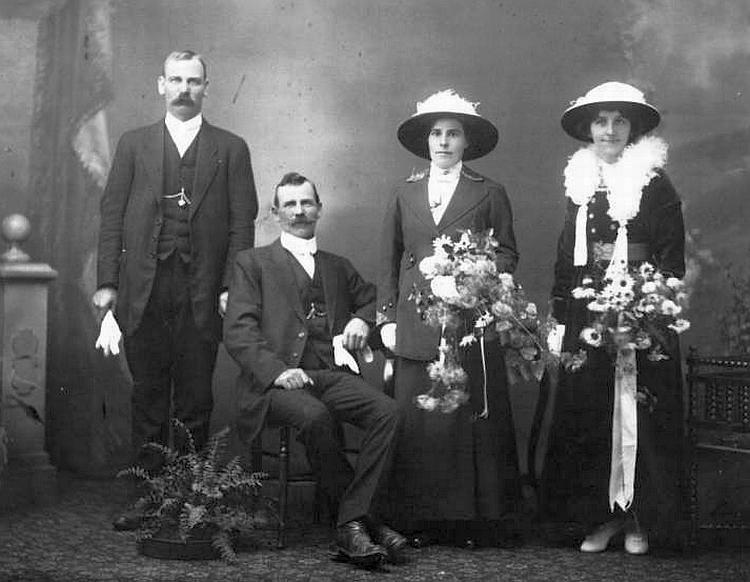 ., best man was Walter Guilford and their bridesmaid, Martha Morris. War exaggerated an already difficult situation - farmers were experiencing an extreme shortage of labour as many workers had drifted to towns seeking higher wages and better conditions. People on the land banded together where possible to help each other by utilising family labour and by working long hours. It was thought the military authorities would know what men to leave behind so that production could not be interfered with. The Farmers' Union requested exemption especially the family's last men to remain on farms if the nation's need for produce was to continue and there were few farm's that oould afford a manager to take over while absent at war. 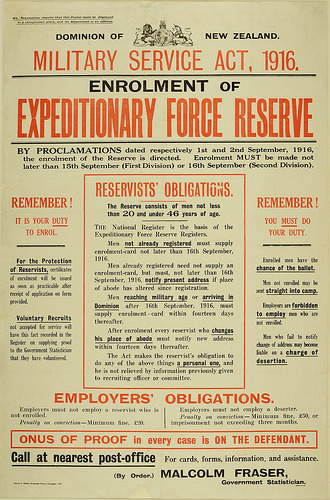 Conscription Boards dismissed most claims or arguments stating it more important to send soldiers than keep up production. Although stated in 1917 that it was not government policy to force a farmer to sell his farm, and if it couldn't be managed in his absence, he might be exempted but not all boards recognised this changed policy quoting it to be "manifestly unfair that the willing should go and the unwilling be allowed to remain behind". Robert applied to the South Canterbury Military Appeal board asking for time extension before reporting for examination by the Medical Board while he disposed of his property - this was granted, and he was given till the end of March to settle his affairs. Timaru Herald: 15 June 1917; Private R Guilford at Temuka, for his final leave A farewell social will be tendered to Privates Robinson, Annals, and Guilford in the Pleasant Valley schoolroom on April 10. Robert, Nominal Roll No 3; Reg. No. 52602; sailed 14 July 1917 from Wellington for Plymouth, England with the 27th Reinforcements Unit and from there served in France where he joined up with the 17th Ruahine Company. Press, 15 April 1918: Mrs Guilford, Temuka. has received advice that her husband, Private R Guilford, has been transferred to the Hornchurch Convalescent Hospital. Sun, 30 Sept 1918: RETURNING HOME. A vessel bringing a large number of invalided soldiers is to reach New Zealand shortly. Pte. 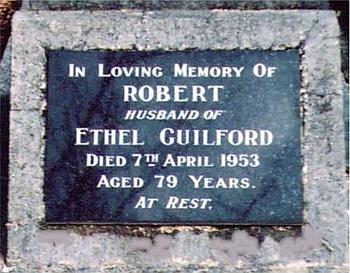 R Guilford (Mrs E, K. Guilford, Temuka). Timaru Herald, 21 Jan 1919: A very pleasant welcome home sociol was given to Privates. J Smith and R Guilford last Wednesday evening in the Pleasant Valley Schoolroom. There as a very large attendance, people coming long distances to show thtir appreciation of these brave lads work at the front. The evening was chiefly devoted to dancing, with songs interspersed. After an excellent supper had been served by the ladies, the chairman of the patriotic committee, with a fitting speech on the soldiers' service, presented each man with, a framed certificate, and wished them good health and prosperity throughout their civil careers. Messis Vucetick, Gale, and others added complimentary and congratulatory remarks. Privates Smith and Guilford thanked the Valley people for their presents and for turning out in such numbers to welcome them home again. "For they are joily good fellows" was sung,'followed by line National Anthem. There were many returned soldiers present, and visitors from Geraldine, Gapes Valley, "Woodbury, Temuka, Kakahu and Te Moana. 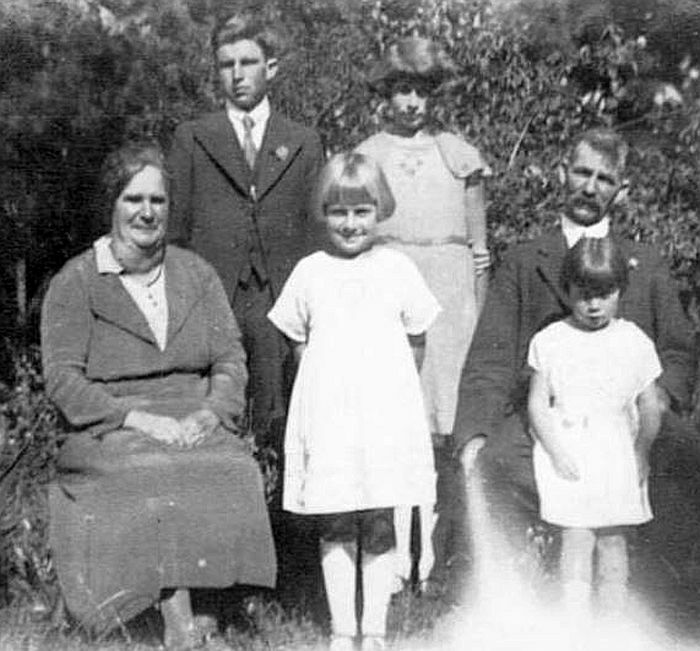 Robert farmed first at Mt Grey before he purchased a farm at Geraldine which was sold and in 1920 he moved north with his family to farm at Egmont Village and his brother Bill and his family joined him there.